Office of Special Education and Rehabilitative Services (OSERS) Assistant Secretary Johnny Collett has released a framework that communicates the way OSERS will focus its work to advance Secretary DeVos' priorities and continue to make progress toward achieving its mission to improve early childhood, educational, and employment outcomes and raise expectations for all people with disabilities, their families, their communities, and the nation. The framework prioritizes rethinking all aspects of how we serve infants, toddlers, children, youth, and adults with disabilities. 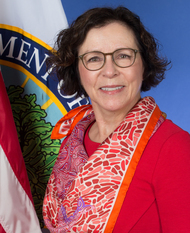 It highlights OSERS’ commitment to support states in their work to raise expectations and improve outcomes for individuals with disabilities; provide states flexibility to implement their programs within the constructs of the law; and partner with parents, individuals with disabilities, and diverse stakeholders. Recently, Collett addressed in a blog the need to rethink special education to prepare each individual for a successful career and a meaningful life. Effective Strategies to Enhance High-Quality Implementation of Individualized Education Programs (IEPs), on Oct. 15, from 1:30–3:30 p.m. EDT. The event will be an opportunity to hear from experts in the field on how best practices related to IEPs align with OSEP's and the U.S. Department of Education's (ED's) work and priorities, and that of our partners in the field. Registration is now open. Also next month, I'll be joining stakeholders across the country to discuss how you all are rethinking education to improve results for our students. I look forward to meeting with special educators and local directors of special education at the Oregon Department of Education's 2018 conference for special education administrators, where we'll discuss Reframing Our Work With Our Students. I'll also join our state special education directors at the NASDSE 80th Annual Conference and Business Meeting in Omaha, Nebraska, as we explore national issues related to special education and services for children with disabilities. I'll be connecting with more state staff at the 1% Cap National Convening on alternate assessments in Boston, Massachusetts, and at a meeting for the National Center on Systemic Improvement's (NCSI's) Cross-State Learning Collaboratives in Phoenix, Arizona. Finally, I'll meet with early childhood education leaders at the Council for Exceptional Children, Division for Early Childhood's 34th Annual International Conference in Orlando, Florida. So much to look forward to in October; see you all very soon! SAVE THE DATE! OSEP Leadership Conference is set for July 2019! The 2019 OSEP Leadership Conference is scheduled for July 22–24, 2019, at the Crystal Gateway Marriott hotel in Arlington, Virginia. More information, such as who this conference is for and what was discussed in previous years, can be found on our website. OSEP's Monitoring and State Improvement Planning division conducts many state-focused activities under the umbrella of Results Driven Accountability (RDA). You can read more about this innovative initiative to target educational results for children and youth with disabilities and their families here. During the fiscal year (FY) 2019 state grant application period, OSEP will use a revised Individuals with Disabilities Education Act (IDEA) Part B application template. The template contains updates based on changes in IDEA resulting from the passage of the Every Student Succeed Act (ESSA). These changes took effect on July 1, 2017. Prior to the revision of the template, OSEP addressed these changes by providing special language and citations in the application materials. States will receive information specific to these changes in their annual grant application instructions. OSEP held its monthly national TA call with states on September 13. During the call, we discussed the 2018–19 Differentiated Monitoring and Support process, and shared that there will be no significant changes made to the process during this cycle. Earlier this month, OSEP published the State Data Displays, available on our state educational agency resource website as an attachment to each state’s FFY 2016 State Performance Plan/Annual Performance Report (SPP/APR). Users can navigate between the states using our public SPP/APR landing page, and will find the data displays under the OSEP response section for each state. Each data display presents certain state-reported data in a transparent and user-friendly format. The data displays are intended to provide the public with a broader picture of state performance in key areas. On Oct. 4 at 4 p.m. EDT, DaSy (the Center for IDEA Early Childhood Data Systems) will host a one-hour webinar exploring its comprehensive online resource, the Data Culture Toolkit. The webinar will walk participants through the five key steps to building a culture of data use in a state or local education program: (1) Formalize your data team and its vision or purpose; (2) Assess your data use culture; (3) Prioritize your data team's critical questions; (4) Assess and improve your data quality; and (5) Explore and use data. We encourage you to register for this webinar today. On Sept. 28, ED published in the Federal Register a proposed set of new priorities, requirements, definitions, and performance measures for the FY 2019 Comprehensive Centers Program that respond to states’ needs as they implement their approved ESSA consolidated state plans. ED is proposing (1) that regional comprehensive centers focus on implementing and scaling evidence-based programs, practices, and interventions that directly benefit students from low-income families, recipients that are implementing support and improvement activities, and recipients in rural areas; and (2) the establishment of a national center to provide high-quality resources and professional learning opportunities to help states address common implementation challenges and emerging national education trends. The public will have an opportunity to comment on the proposed priorities through Oct. 29, 2018. HHS' Administration for Children and Families, in consultation with ED, has announced Preschool Development Grant Birth through Five (PDG B-5), a new funding opportunity for all 50 states and six territories. The PDG B-5 grant program seeks to empower state governments to develop, update, or implement a strategic plan to facilitate collaboration and coordination among early childhood care and education programs in a mixed delivery system to prepare low-income and disadvantaged children to transition into their local educational agency or elementary school. States and territories can apply for as little as $500,000 and as much as $15,000,000 for the first year of funding. Applications are due Nov. 6, 2018. The OSEP-funded National Center on Intensive Intervention (NCII) has released several new resources. "How Can We Ensure IEP Teams Provide the Most Intensive Supports?" This one-page handout from NCII and the Positive Behavioral Interventions and Supports (PBIS) Center provides information about how Data-based Individualization (DBI) can support IEP implementation. It emphasizes that teams are a vital part of an effective multi-tiered system of supports (MTSS) across academics, behavior, and special education. The handout addresses the challenges in making connections across the across the various teams used in MTSS and special education by providing a table of key considerations for teams working across an MTSS. "Breaking Down the DBI Process Questions & Considerations"
This handout provides an overview of the five steps of the DBI process and questions to consider at each step. The handout can be used to introduce DBI or to guide teams as they reflect on DBI implementation. To address challenges in determining how to select and intensify interventions, this new series of resources provides a framework to guide educators' initial selection of validated interventions within the DBI process as well as intensify interventions over time. The series breaks considerations into seven dimensions: strength; dosage; alignment; attention to transfer; comprehensiveness; behavioral or academic support; and individualization. Supplemental resources include case examples in mathematics and reading, implementation materials, such as a sample rating form, and other useful handouts. More resources will be added as they become available. The National Center for Special Education Research (NCSER), within ED's Institute of Education Sciences (IES), supports rigorous research on infants, toddlers, children, and youth with or at risk for disabilities. This is accomplished through advancing the understanding of and practices for teaching, learning, and organizing education systems. Recently, through funding from NCSER, a research team at Vanderbilt University Medical Center has been conducting studies on students with hearing loss, about how their listening efforts in noisy school classrooms affected their fatigue and how fatigue in turn impacted their learning. The team's first project was a comprehensive study of the issues associated with listening effort and fatigue in students with mild to moderate hearing loss. Results consistently indicated that students with hearing loss expend more listening effort and are at greater risk for fatigue than their peers without hearing loss. Findings regarding the relation between fatigue and learning suggest that it is important to identify and potentially intervene with students who exhibit increased listening effort and fatigue. Fatigue measures that are valid, reliable, and feasible to implement in a school setting are also needed. The research team is currently conducting their second project to create and test such measures. 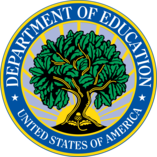 On Aug. 27, 2018, OSEP and the Office of Elementary and Secondary Education (OESE) published a memo to states providing additional information on the waiver of the 1 percent cap on participation in the alternate assessment (an update to the 2017 memo on the subject). This memo is helpful for states as they consider applying for an extended waiver for the 2018–19 school year, as it highlights the additional regulatory requirements relevant to this process. This October, OSEP and OESE will partner with the National Center on Educational Outcomes to host a convening related to new requirements in ESSA regarding student participation in the alternate assessment aligned with alternate academic achievement standards. The 1% Cap National Convening will take place in Boston, Massachusetts. States have been notified of the details for registering and participating in the event. We look forward to a productive meeting! We're also collaborating with OESE's Office of State Support to host the upcoming Combined Federal Programs Meeting in December 2018. More information can be found here. This month, we interviewed Briana Harris, a lead teacher at the Cambridge Early Learning Center in Nashville, Tennessee. 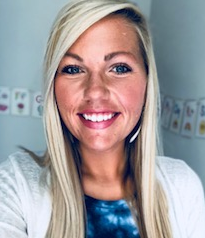 In the interview, Harris shares her excitement for the beginning of the school year, and her passion for teaching preschoolers. She also shares the steps she takes to ensure her students have a successful school year from the start. We invite you to read the full interview on the OSERS Blog.